Firefighters are badass, no question about it. Firefighters are badass, no question about it. Just look at this image taken by Airman 1st Class Meagan Schutter—it can be a poster for movie. Airman 1st Class Ross Keserich enters a firefighting training scenario Jan. 24, 2014, at Yokota Air Base, Japan. 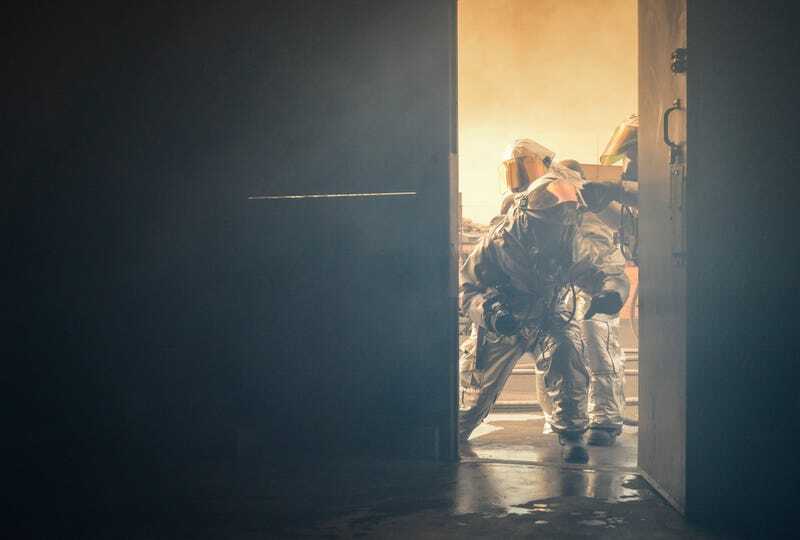 Firefighters practice making low-entrances to ensure they are safe from the heated gases escaping the facility. Keserich is a 374th Civil Engineer Squadron firefighter.